On his tour of Italy, Renoir made a stop in Venice in late October 1881. His Venetian canvases focus primarily on famous sites. 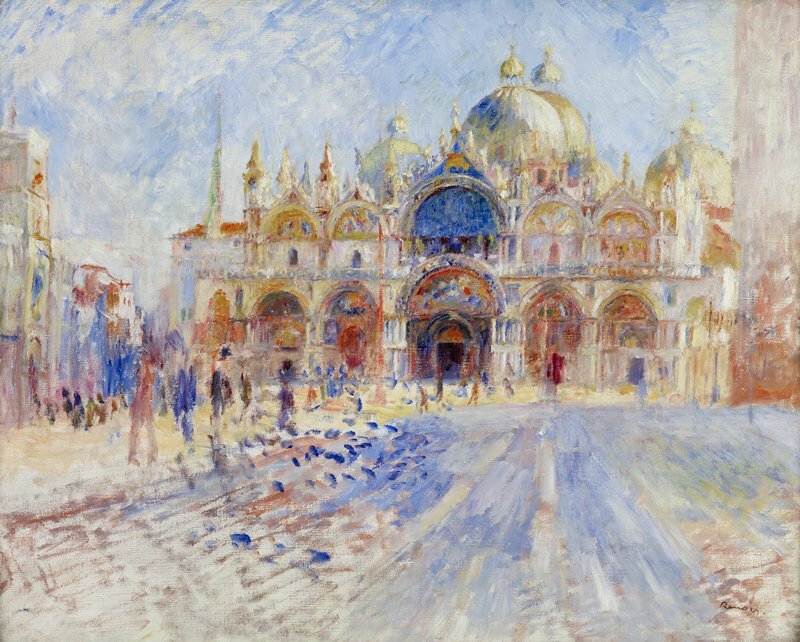 Here, Renoir depicts the domes of the Cathedral of San Marco gleaming in the midday sun. This painting was left in a sketch-like state without any studio reworking. Executed in a typically Impressionist technique, the canvas is loosely covered with bold, hurriedly applied strokes of bright, unmixed colors. Simple daubs of paint depict the light falling across the church's façade, as well as the people and fluttering pigeons on the piazza.